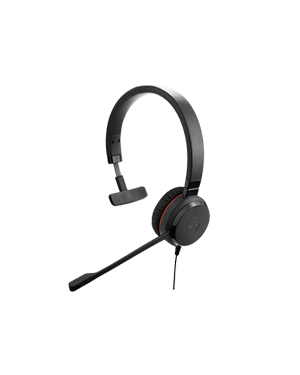 Jabra EVOLVE 30 II UC Mono Headset is an innovative professional headset that is perfect for medium range of phone calls for daily operations. Using the headset, users can be more effective in taking in calls and making calls all at the same time. It also uses a call control unit, which makes it a lot easier to handle calls since it has easier access to features and functions that users need. 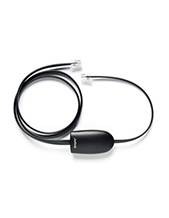 Jabra EVOLVE 30 II UC Mono Headset uses a simple plug-and-play connectivity for more convenient and easy connection to PCs and smartphones. 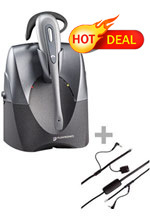 Give Headsetsonline a call today to find out more details about this product. Dial Australia wide 1300 131 133 now! Jabra, founded in 1983 by Elwood Norris, is a Danish company GN Netcom subsidiary that is popular for its development and manufacture of wireless and corded headsets for all types of customers, including individuals and enterprises, like contact centres and large offices. It is responsible for developing the very first in-ear integrated speaker and microphone. It is structured together with EarGels, which was patented by the company in the first place. Jabra operates under the banner of ‘Sound that’s engineered for you’, which basically promises unique, customised, and high audio quality to customers. The company aims to offer better experience to customers in terms of sound and audio quality.